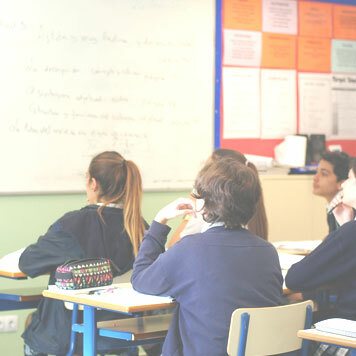 Our international secondary English School in Spain curriculum is designed to ensure students engage with a broad and balanced range of subjects. There is an increased depth of knowledge in each subject through learning provided by subject specialists. The KS3 curriculum is designed to ensure students engage with a broad and balanced range of subjects. There is an increased depth of knowledge in each subject through learning provided by subject specialists. This provides all students with a thorough and solid foundation from which students can go on to explore in any direction they choose, before progressing to the more specialised curriculum in Key Stage 4. Languages, Literature and the Humanities are taught alongside Science, Mathematics, ICT and the expressive arts. The curriculum introduces a third language (German or French) which students will follow through to GCSE, and also Spanish Social Studies, which is taught in Spanish. Key Stage 4 represents a two-year programme in which most of the courses studied by students will progress to GCSE or IGCSE qualifications. This is the first point at which the range of subjects studied begins to narrow, and students must think carefully about their areas of interest, in the subjects and in terms of their possible future studies and their career aspirations. The programmes become significantly more specialised, which provides increased challenge and interest for the students. 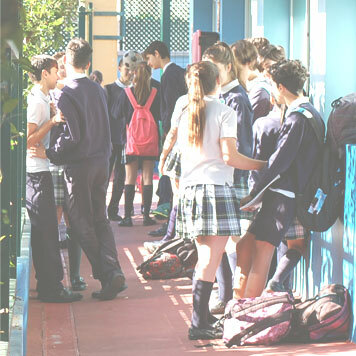 The high level of challenge in the programmes at Key Stage 4 supports strongly the vision of a confident learning community: the skills, attitudes and mutual support developed through the Key Stage 3 programme and through the continued focus on Responsibility for Learning will enable students to successfully meet the demands of the courses.